Marshall lives and practices plant spirit medicine in the vibrant coastal city of Portland, Maine. 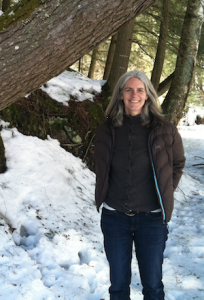 She first learned about plant spirit medicine when she read Eliot Cowan’s book in 1998 while attending school for her Master’s degree in five element acupuncture. The book deeply resonated with her, and she began receiving treatments which also touched her in a profound way. Though she would have to wait quite a few years before she would have the opportunity to study to become a plant spirit medicine healer she took every opportunity she could to connect with the natural world and plant spirits of the beautiful pine tree state. Marshall graduated from the plant spirit medicine training course in 2015 and is recognized as a Lay Spiritual Healer by the Temple of Sacred Fire Healing. She is honored to work in partnership with the plant spirits to help bring balance and clarity into the lives of her clients.